Ann Saffi Biasetti, PhD, LCSW-R, ERYT-500; C-IAYT, is a 500-hour Yoga Alliance Certified Teacher, Psychotherapist, and author of Befriending Your Body: A Self-Compassionate Approach to Freeing Yourself From Disordered Eating (Shambhala Publications), as well our resident IAYT Certified Yoga Therapist. Ann was first introduced to yoga asana in her senior year of HS. She received her 200-hour Yoga Alliance certification in 2007 through Fairfield Yoga. From that point on she was “hooked.” She was certified as a Yoga Therapist through Phoenix Rising Yoga Therapy in 2011, and is also certified in Restorative Yoga and Restorative Yoga Therapeutics through master teacher Judith Hanson Lasater. She is also certified in Prenatal Yoga. Ann has been a practicing Psychotherapist for over 27 years, specializing in embodied/somatic psychotherapy. She has a PhD in Transpersonal Psychology, and specializes in working with those with disordered eating, trauma, life transitions, and helping people reach their highest potential. She is a certified Mindfulness and Mindful Self-Compassion (MSC) teacher, and practitioner of Buddhist meditation and teachings. She loves to incorporate the Dharmic practices and teachings into each class. Her class style is heavily influenced by anatomy, alignment principles, and the guiding wisdom of Yoga Therapeutics. 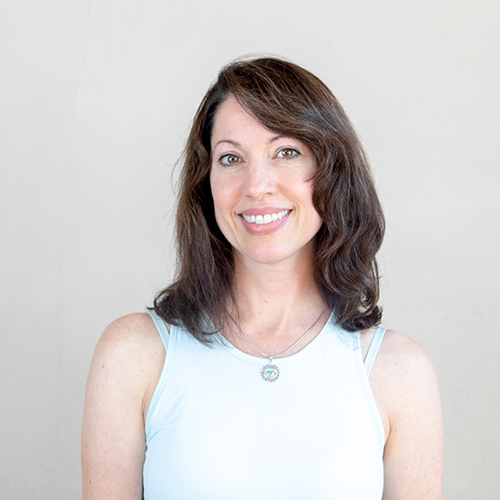 In addition to assisting with our 200 and 300 YTT programs, she created An Embodied Life Restorative Yoga Level 1 and Level 2 Yoga Teacher Training program, which she offers annually at Yoga Mandali. Ann is grateful to her past teachers in asana and yoga therapeutics, and to her many Western Buddhist teachers who influenced her life and teaching in profound ways. She lives in Saratoga Springs with her family and is thrilled to teach at Yoga Mandali and be part of this amazing yoga family! For more information on Ann, her practice in Saratoga Springs, newsletter and workshops please visit her website at www.anembodiedlife.com.